ANYONE who has taught has regrets, and a student I’ll call Frank Gagliado is one of mine. Frank was one of my students at Salisbury North Primary School in the dumping grounds north of Adelaide, in 1964. He was ten years old, badly overweight, sweet-natured and clearly as thick as two short planks. He stumbled over his words and sometimes nodded off in the afternoon sun, always tired from hours of working before school in the family market garden. What could you do? Frank couldn’t spell, couldn’t write, and was as slow to understand as he was desperate to try. I would’ve remembered Frank even if I never saw him again, but I did see him again. Twenty years after I left Salisbury North Primary School a newspaper paid me to get my former students together again and see what had become of them. I discovered that Frank was now Francesco Gagliado, with a university degree and a postgrad diploma to his name. I remember you kindly, he told me. He had gone on not letting teachers like me get him down, defying the teachers who didn’t want him taking up space in the academic stream as well as parents who wanted him to work in the family business, battling his weight fluctuations, his stuttering, and the English language, and he made it. He made it into uni, the first member of a big family to get anywhere near one. The emotions triggered by seeing the kids again caught me by surprise. As they peered in through the door of a classroom laid on for the reunion they were instantly recognisable. The skinny legs and flat chests and smooth skins had given way to beards and curves and bulk, but the eyes, the laughs, and the quirks of manner were all there still. I found myself a bit choked up and teary, and so did some of them. We’d spent a lot of time together, twenty-five hours a week, forty weeks a year, and you get close. Frank said that he remembered me kindly because I did “unusual things, like art.” I’d asked the kids to do watercolours on the windows to brighten up the bare rooms of the wooden temporaries and to screen out the white haze over the flat brown plains where they housed the GMH factory workers, the welfare mums and the Italian market gardeners. I liked sport too, rounders especially, because everyone could join in, boys and girls, sporty kids and kids like Frank, although as umpire I had to cheat a bit for Frank. And music. Looking at those same-but-different faces I could just about hear them doing “The Lorelei” and the 23rd Psalm in three parts by the end of the year, every one of them singing their hearts out. Seeing Frank again was particularly affecting, his lovely warmth, perhaps his size, the grip of his big hand, but above all what he had done. How could I have been so wrong? Part of the answer is obvious. Frank was one of forty. If you work out how much time that gives you per student per working week, well over half an hour, you’d think there was plenty of time to dig around to find out what makes a kid tick and what he or she might be able to do. But teachers aren’t like medicos or plumbers. Their clients don’t come one by one, they come in a crowd. Teaching is first and foremost crowd control, and the way we did it in the mid 1960s is another part of the answer. There were four Grade V classes at Salisbury North, and all four Grade V teachers started at the beginning of the syllabus in February and marched lockstep to get to the end of it by December. The syllabus prescribed what we had to cover in each subject – reading, arithmetic, spelling, geometry, social studies, and so on. We divided the year’s work up into terms, then months, then weeks, and set it out in programs submitted for approval to the headmaster and by him to the inspector. Our freedom came at the atomic level of this complicated molecule, the forty-minute lesson, seven or eight of them every day. “Discipline” was the sine qua non. Uproar told your colleagues that you were losing it, as did the whack of the beachbat or kids sitting in the corridor or trooping up to the Boss’s office. The Friday test was our measure. It commenced with mental arithmetic at 9 am and concluded with composition before morning recess. After recess I roped the kids into marking each other’s work in the right-or-wrong subjects, then gave them busywork while I marked the rest. By lunchtime I had the results, which the kids more or less knew anyway because they never varied much, ready to give to them and then to the Boss, who compared my results with those of the other three Grade V teachers. Friday afternoon was art then sport. Monday morning kicked off Groundhog Day, except that the ones who had done well on Friday started the new week at an advantage because they understood where we were up to, and the slow ones, like Frank Gagliado, started off that little bit further behind, convinced on a weekly basis that they couldn’t do anything because they were dumb. I was convinced too, and I was wrong. BY THE time I started at Salisbury North teachers were getting fed up with this way of doing things. In the absence of clear ideas about how teaching and learning should be done we plumped for the opposite of how it was being done. The “system” was centralised so we wanted devolution. Inequality was stark; opportunity should be equal. Primary teachers were being trained in teachers colleges for as little as six months so we wanted university qualifications for all and pay to match. “Teacher-centred” classrooms should become “student-centred.” What, when and how we taught was prescribed; we should be able to “innovate.” And, above all, big classes should be small. These became the elements of a strategy of reform for schooling that was getting up a head of industrial steam in the mid 1960s and would endure for half a century. With thousands of others, though, I wasn’t going to wait. A week after I’d served out my three-year teaching bond I was on a boat for England. As big school reforms go, things changed with remarkable speed. Twenty years on, the class of 1964 looked around the classroom of 1984 in amazement. It all looked so different, and not just because a Salisbury North alumnus had torched the old wooden temps. There were so few desks! And they were set up in clusters, facing every which way. Where was the front? One of my old students wanted to know who the handsome young fella was sitting across the way. He’s the Boss, I told her. You mean he’s the headmaster? she asked, incredulous. 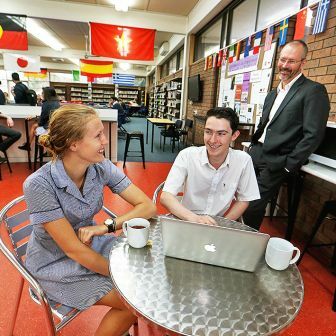 The principal, as headmasters had become, was about the same age as my former students, and very different from the old RSL-badged kind of Boss, bright, friendly, energetic and chock full of ideas and plans. 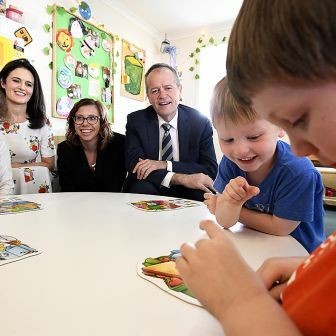 Salisbury North had joined the federal government’s Disadvantaged Schools Program, and set out to present a different face to the “community” as the school’s clientele was now known. If Frank Gagliado’s mum were to come to the school she would find a welcome notice in Italian and a nice place to sit down and have a cup of tea with the teacher. Beachbats and yard rulers were well on the way to being seen for what they were, relics of the medieval origins of schooling. The great tide of innovation that swept around and through schools from the 1960s was immensely fertile, and transformed the look and feel of schools and classrooms. They became less formal, more congenial, and more humane. But did they work differently from my classroom of 1964? What actually happened after the teacher closed the door of that bright, breezy-looking classroom of 1984, clapped her hands, and called the class to order? Was her teaching, or teaching now, all that different from mine? Our understanding of the real life of the classroom has undergone a revolution not unlike that wrought by DNA analysis on the understanding of animal behaviour. Researchers have installed cameras in corners of classrooms where they’ll be forgotten, bugged the kids, and gone native, anthropologist-style, sitting up the back day in, day out until they became part of the furniture. What they have seen and heard makes a sad contrast with the hopes we’d begun to entertain in the 1960s. More than three-quarters of classroom talk is teacher talk, and when the teacher does ask questions almost all require only “surface” learning (recall of facts and the like) to answer. Teachers don’t know that about half of the typical class will already know about half the content of the typical lesson. Students spend most of their time listening, or pretending to. They get little feedback on how they are going; most of what they do get comes from other students, and most of that is wrong. Teachers routinely mistake busyness for engagement, activity for learning. Students – the experts on the quality of the teaching – mostly report encountering only a handful of teachers who made a lasting and positive impact. These are generalisations, of course, from a massive digest of more than 800 meta-studies of schooling, themselves digests of thousands of other studies, by the guru of “effective schools” research, Melbourne-based John Hattie. Findings vary from one country to another, one stage of schooling to another, and so on, but the overall picture of how classrooms work does not. And classrooms work in a way that Frank Gagliado would find all too familiar. “Progressive” ideas about “student-centred learning” and its less formal organisation of time, space and activity did indeed spread as classes shrank, particularly in the primary years. But, as America’s pre-eminent historian of the classroom Larry Cuban argues, these changes generated a “hybrid” pedagogy that was still teacher-dominated simply because the class is still a crowd, and crowd control remains the sine qua non of the teacher’s survival. It is not how teachers would like to teach; it is how they have to, “a hardy adaptation to the organisational facts of life,” as Cuban puts it. This central reality has remained untouched by most of the thousands of innovations that so energised schools and changed the look and feel of so many classrooms. 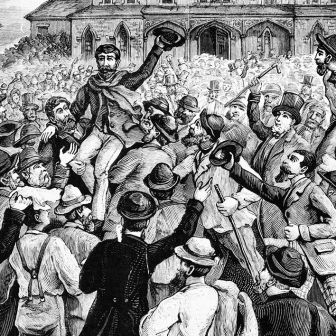 It is not so much that most innovations have been person- and circumstance-dependent, and folded when the instigator moved on or the circumstances changed, or even that they have burned up far more time, energy and money than could be justified by the results. A substantial body of research suggests that the real limitation lies in what innovation has and has not attempted to change. Indeed, the research concludes that the closer an innovation gets to the core business of schooling, to the daily work of teachers and students, the less likely it is to attract attention and debate, and the less likely it is to be implemented. If reform has failed to change teachers’ work it has also failed to improve the profession’s rewards and standing. I think I am right in saying that when I was at Salisbury North the Boss and I were the only graduates in a staff of thirty-odd. At that time just three in every one hundred South Australian primary teachers were graduates, and many had not even matriculated, then a Year 11 requirement only. Now nearly two-thirds of teachers in South Australian government primary schools have a degree and practically all have a three- or four-year qualification. To what effect? To look back, as I have been doing, at what was being said in the 1960s about the need for more academically able entrants to the profession, for better career paths and pay, about the need for a true profession and then tune back into the current conversation is to have a particularly flattening experience of déjà vu. As the numbers roll in it has become increasingly clear that what classrooms and teachers have been producing has not changed much either. 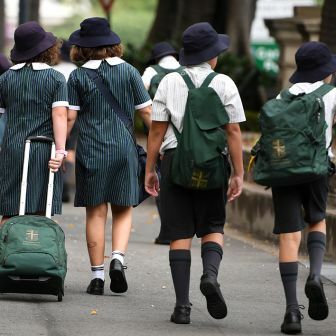 International comparisons suggest that the Australian school system is doing better than many others, but not better than it was. Increasingly systematic and comprehensive evidence suggests that the proportions of students leaving school knowledge-rich, knowledge-poor and in-between has not changed much since my teaching days. Gonski found that around half a million students now in the system will leave without even the bare minimum of skills needed to function in the workplace or in the wider community; that a high proportion of underperforming students are the same old faces, the children of poor, remote, Aboriginal, and some non-English-speaking families, or children with disabilities; and that these children can be found in the same old places, government schools mostly, in poor and/or remote areas, in places like Salisbury North. That is one half of a depressing story. The other half is what it all cost. The best available calculation is that between 1963 and 2003 per-pupil expenditure, in real terms, multiplied two-and-a-half times. Most of those multiplied dollars were used to appoint more and more teachers to put in front of smaller and smaller classes. Teachers at Salisbury North Primary School now have just a bit more than half the number of kids I had. From the outset the relationship between dollars spent and learning gained was governed by the law of diminishing returns. Past a certain point, somewhere between my forty and the present twenty-and-a-bit, the educational return on each additional dollar got close to zero and stayed there. But the true cost is in opportunities rather than dollars. What else could have been done with all that money? With all those hopes and energies? And, lying behind that imponderable is another: what wasn’t changed in the lives of millions of Frank Gagliados who have passed through the schooling system since 1964? The fact now to be faced is that the entire strategy of reform of the half century beginning about the time I started at Salisbury North Primary School, and particularly its dogged pursuit of ever-smaller classes, was misconceived, not because nothing was achieved but because costs were out of all proportion to educational ground gained. Even if that strategy was less than a total failure, and even if it is entirely comprehensible as a product of the times and circumstances in which it was devised, it is now exhausted. Yet more of the familiar kinds of innovation would take yet more time, energy and belief, all in short supply. Even small improvements in teacher pay, conditions and career structures are expensive; big ones, for more than a quarter of a million teachers, most in the direct or indirect employ of governments strapped for cash, are prohibitive. Further reductions in class sizes, the central plank of the entire platform, cannot be justified or afforded. So, what now? MANY hopes have been invested in Gonski, but Gonski’s reforms, even if fully implemented, will be but distant thunder for the nearly four million inhabitants of the classroom. Gonski will make much possible, but guarantee nothing. The danger is that in fifty years’ time Gonski will be seen to have been the last spasm of big spending on yet more teachers and yet smaller classes. That won’t be because that’s where Gonski wants the money to go; it will be because, down there in the states and the systems, it is where the minds of teacher organisations and teacher employers habitually go – and because the cat’s cradle of regulation of class sizes and teacher working conditions they’ve created between them over the past fifty years will make it too hard to do anything else. An alternative, recently arrived in the political arena, is not more teachers but better ones, the “teacher quality” solution. If we set aside the condescension of the phrase, the fact that it has all been heard before, and the fact that the teacher quality agenda is being used by the federal Coalition to excuse its rejection of Gonski, there is an important underlying truth: highly effective teachers can move students along at two or three times the typical rate. But there is another truth, usually ignored by those pushing the “quality” barrow: highly effective teaching is hard to do, hard to learn, and hard to find. It is exceptional. The proposition that we can make classroom maestros the rule rather than the exception by tinkering with pay structures, teacher education, bonus schemes and the like is implausible. It is also misdirected. Surely there is something fundamentally wrong with a unit that functions well only in the hands of a maestro? And therefore something wrong with reforms that leave unchanged the “organisational facts of life” to which teachers adapt? A third option has not yet found its way into public debate but is increasingly heard in professional forums, the idea of “personalised” learning. It’s an ungainly term for exactly the thing that I was unable to do for Frank Gagliado or his thirty-nine classmates, and the thing that teachers have found hard to do ever since: organise the day so that each student is working on a task not too hard, not too easy, just right. 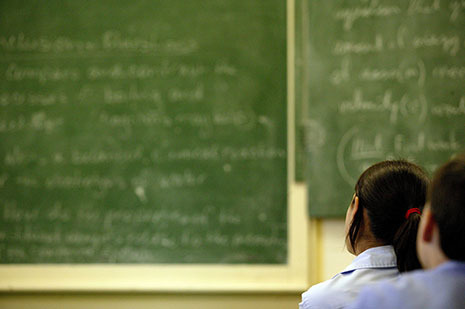 Advocates of personalised learning argue that the kind of preparation, organisation and rapid-fire decision-making that have until now been the prerogative of a handful of classroom maestros can be made common by combining standards- or outcomes-based curriculum with new, powerful, affordable, mobile, ubiquitous information and communications technologies. Schools have been fiddling with computers for decades, but they have gone the way of most innovations, pushed to the margins of the dominant classroom order. The advocates of personalisation believe that this is about to change. 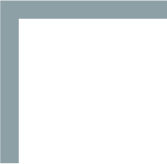 They can point to a good deal of instructional software that helps students learn at their own pace in a thoroughly engaging and productive way, but also argue that the big gains will come from the management of learning as well as its conduct. “Expert systems” will be able to assess where each student is up to in each area of learning, figure out the best next step, summon up ways and means of taking it, and monitor progress towards clearly defined and amply illustrated objectives. The hope is that expert systems will open up the private world of the classroom and make possible a different allocation of the labour of learning. Students, both individually and in varying combinations, will be able to take over from teachers some management of the teaching and learning process, as will other adults including parents, support staff, and trainee and intern teachers. Teachers will spend more time in expert diagnosis, prescription, planning and supervision. The idea of personalised learning is but one short step away from exposing an assumption of schooling constructed over centuries and codified by industrial regulation. The assumption is this: students are the clients of the school, and the recipients of the school’s attentions; their learning is the fruit of the labour of the school’s “staff,” the teachers, in much the same way that a patient’s recovery is produced by the work of doctors and nurses. That assumption pervades the minds of all involved in schooling, including researchers of “school effectiveness” and advocates of “teacher quality.” It is expressed in the built world of the classroom, in its daily life, and in the habitual ways teachers and students see and treat each other. It is a false assumption, right to the very bottom. It is not teachers who produce learning, it is students. Indeed, students are the only people in schools who can produce – or decline to produce – learning. Students are workers. Students, not teachers, are the real workforce of schools. If we look at students as workers and producers, something otherwise hidden swims into view: the nub of it all is the daily work, the labour process, of students. That is where it goes right, or wrong. Consider, as I have belatedly done, not what I was doing in Grade V in 1964 but what Frank Gagliado was doing. His working day was just as the anthropology of the classroom would lead us to expect: working mostly by himself rather than with others, mostly listening not talking, mostly following instructions rather than figuring out what to do next and how best to do it, mostly having to stop before he’d got the hang of the task and start the next before he knew how to, mostly not really succeeding, often really failing, in his own and his peers’ eyes, all day every day for twelve years. You wouldn’t do that to an adult worker. Why do it to a young one? No wonder Frank had fond memories of art (although even there things went hard for Frank; he took home a soap carving to show his mum and she used it for washing). The moral of Frank’s story is that the crucial point of leverage – not the only one, and not by itself, but the most generative one – for the next fifty years will not be found in school systems and their funding, or in 9000 schools and their organisation and culture, or in 270,000 teachers and their skills and qualifications, but in the extent to which the daily work, the labour process, of nearly four million learning workers makes each of them as productive as they can possibly be. Dean Ashenden was a ministerial consultant to the federal education minister, Senator Susan Ryan, 1983–85. He was co-founder (with Sandra Milligan) of the Good Universities Guides and Good Schools Guides. 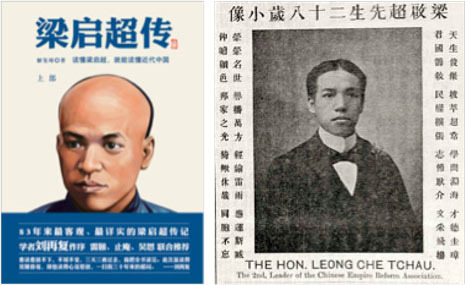 Liang Qichao (1873–1929), depicted on the cover of a new biography by Xie Xizhang (left), and as he appeared in the Australian Chinese press in 1901.